Juniper trees are native to Eastern Oregon, but our forest service’s ability to stop fires across the high desert now gives Juniper an unnatural advantage. The tree is growing so quickly that it threatens to further drain the sensitive eco-system’s dwindling water table. 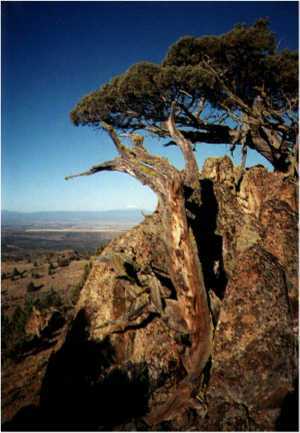 juniper trees also threaten the western Sage Grouse by crowding out its brush-land habitat. Several years ago the Neil Kelly Company saw an opportunity to help the environment and bring this rustic wood into your home. Neil Kelly Cabinets introduced the “Naturally Northwest” cabinet collection of several species of locally available and renewable woods—including Western Juniper. “Homeowners across the country, and especially here in the Northwest, love this new Central-Oregon inspired collection,” says Neil Kelly Design Consultant Kathleen Donohue. Now, Neil Kelly has taken the development of Juniper a step further. 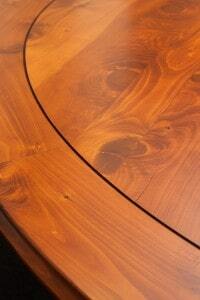 Working with Columbia Forest Products we’ve refined juniper into furniture. Juniper is given to growing in contorted, stunted, twisted, and crumpled configurations. 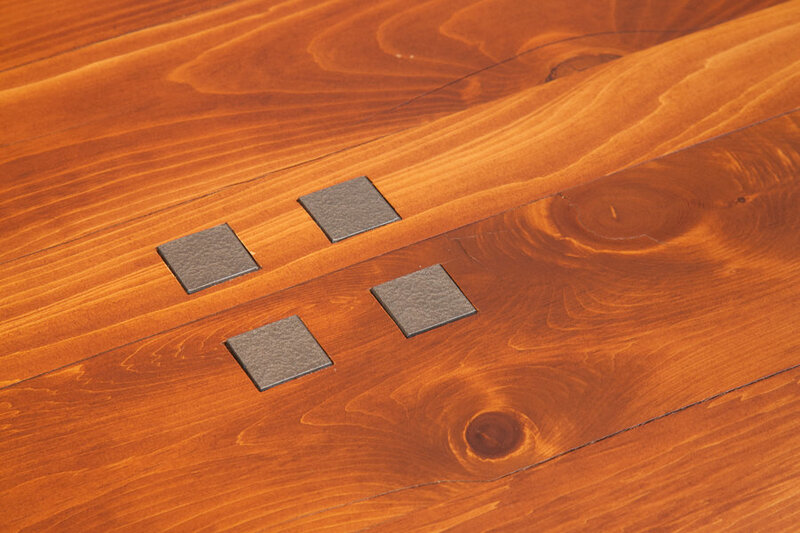 It is usable shaved in a veneer or used in smaller configurations—like cabinets. Using larger planks of juniper hasn’t been feasible–until now. “I’m passionate about juniper”, says Neil Kelly Cabinet President, Mark Smith. “We’ve developed the only juniper panels that I know of.” Using a proprietary manufacturing process the Neil Kelly Cabinet Company has started turning a nuisance into yet another market for this unique wood. “We’re taking the product and refining it to make it look like a piece of furniture rather than a piece of branches”, Mark says. And a stunning example of this new, proprietary product now graces the corporate headquarters of the Oregon Dental Services in downtown Portland, Oregon. “The receptionist at ODS says they get a ton of positive comments about the table”, says Neil Kelly Communications Coordinator, Alex Christopher. And you can probably see why. 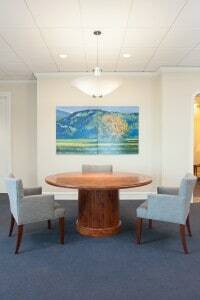 The round meeting table is adorned with custom touches, and is characterized by the rich, textured tone of juniper. positive attributes. It is durable—prized for its beauty as well as its incredible resistance to decay. And the process of harvesting juniper is bringing more jobs to Central Oregon—a region that desperately needs more employment opportunity. The Sage Grouse will probably never know that we’re helping them, but the Neil Kelly Company is excited to play a role in their potential to thrive. And it doesn’t hurt that we’re able to bring an exciting new decorating idea into your home.